Dion Fortune was the pen-name of Violet Firth, one of the most luminous and striking personalities of the twentieth century, womanhood's answer to Aleister Crowley and quite possibly the Shakti of the Age. This new, revised, expanded and beautifully-written edition tells the full story of a woman who hid behind a veil of secrecy and who became a cult figure in the years after hew death in 1946. A brilliant writer and pioneer psychologist, her whole life was devoted to living out an eternal myth in a story that can be told in terms of virgins and Dragons, moons and oceans and the spirit of the land itself. 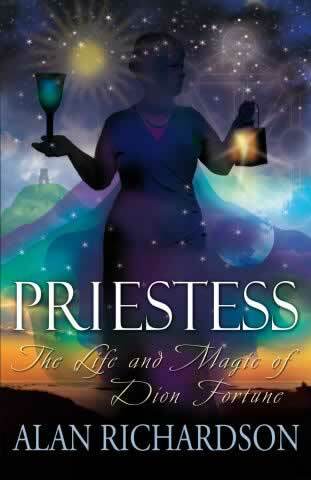 As a powerful psychic and medium, obsessed with the study and practice of magic and a high-grade initiate within the Hermetic Order of the Golden Dawn, her career was never entirely in this world and her companions not always human. In her own eyes at least, she was a priestess, a channel for the Great Goddess, an exponent of the time-lost mysteries of women long before the present generations of feminists and goddess-worshippers were ever born. From her birth in Llandudno, through her years in the drowned lands of Somerset, Alan Richardson unfolds the luminous and very moving patterns of her life: her early career as a psychoanalyst, her nervous breakdown, her time as a Land Girl and her developing psychism; her memories of past lives on Atlantis and relationships with Inner Plane beings who have an evolutionary interest in our world; her romance with a man she believed to be non-human and her fraught marriage to a doctor whom everyone knew as Merlin; the foundation of her own group devoted to bringing through the Western Mysteries at a time when few people knew that there was such a thing; her occult battles against the Nazis and fellow magicians – and the start of her long, hard and always stormy journey into the Otherworld, toward the heart of the Goddess that she saw as sleeping within the Earth itself and who needed awakening.